Layne Thomas Staley (August 22, 1967 – April 5, 2002) was an American musician who served as the lead singer and co-songwriter of the rock band Alice in Chains, which he founded with guitarist Jerry Cantrell in Seattle, Washington in 1987. Alice in Chains rose to international fame as part of the grunge movement of the early 1990s. The band became known for his distinct vocal style, as well as the harmonized vocals between him and Cantrell. Staley was also a member of the supergroups Mad Season andClass of ’99. By mid-1996, Staley would be out of the public spotlight, never to perform live again. Staley also struggled throughout his adult life with depression and a severe drug addiction, culminating with his death on April 5, 2002. 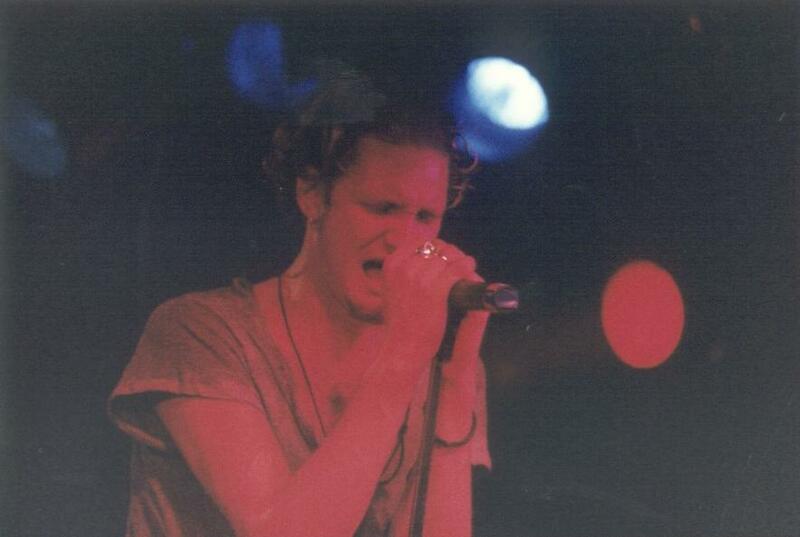 Layne Staley was born to Phillip Blair “Phil” Staley and Nancy Elizabeth Staley (née McCallum) in Kirkland, Washington. He was seven years old when his parents divorced, after which he was raised by his mother and stepfather, Jim Elmer. He was raised Catholic. He took his stepfather’s name while enrolled in Meadowdale High School in Lynnwood, and was known for some time as Layne Elmer. In late 2001, shortly before his death, he would describe the experience of witnessing his parents’ divorce: “My world became a nightmare, there were just shadows around me. I got a call saying that my dad had died, but my family always knew he was around doing all kinds of drugs. Since that call I always was wondering, ‘Where is my dad?’ I felt so sad for him and I missed him. He dropped out of my life for 15 years.”In that same interview he hinted that his parents’ break-up and his father’s drug use were at least partially responsible for his own drug problems, and also said that he was convinced that if he became a celebrity his dad would return. Staley approached music through his parents’ collection, listening to Black Sabbath (regarded by him as his first influence) and Deep Purple. Other favorite bands include hard rock and metal bands like Anthrax, Judas Priest, Saxon, Rainbow, Mercyful Fate, Twisted Sister, Van Halen and industrial/new wave acts such as Ministry, The Lords of the New Church and Skinny Puppy. He began playing drums at age 12; he played in several glam bands in his early teens, but by this point, Staley had aspirations of becoming a singer. In 1984, Staley joined a group of Shorewood High students in a band called Sleze, which also featured future members of The Dehumanizers and Second Coming. In 1986, Sleze morphed into Alice N’ Chains, a band which Staley said “dressed in drag and played speed metal.” The new band performed around the Seattle area playing Slayer and Armored Saint covers. Staley met guitarist Jerry Cantrell while working at Music Bank rehearsal studios, and the two fast friends lived as roommates for over a year in the dilapidated rehearsal space they shared. Alice N’ Chains soon disbanded and Staley joined a funk band who at the time also required a guitarist. He asked Cantrell to join as a sideman. Cantrell agreed on condition that Staley join Cantrell’s band, which at the time included drummer Sean Kinney and bassist Mike Starr. In 1986, Staley met Seattle underground guitarist Tim Barnes at a local Seattle bar. Barnes would later be offered a position in Alice in Chains but declined. Eventually the funk project broke up and in 1987 Staley joined Cantrell on a full-time basis. The band eventually took the name of Alice in Chains.